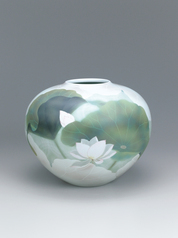 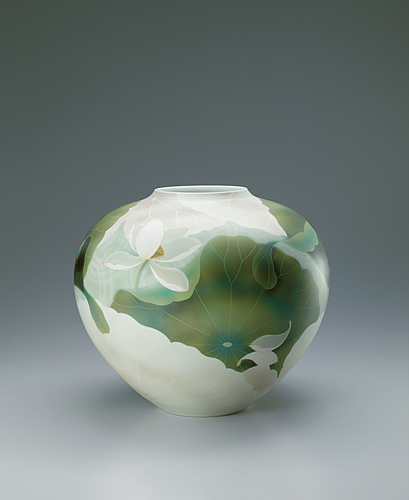 Large jar with lotus design in underglaze spraying. 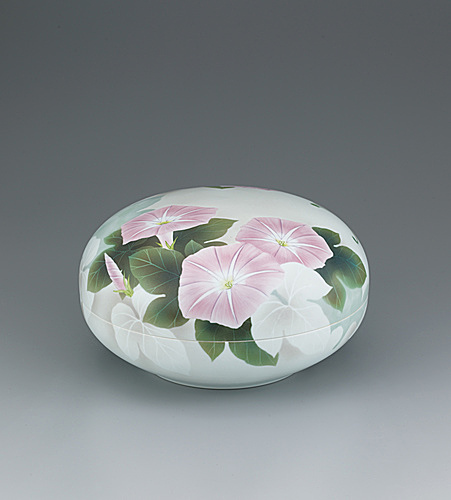 Round box with morning glory design in underglaze spraying. 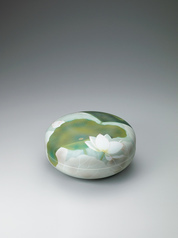 Circular box with lotus design in underglaze spraying.